Spike lets you chat just like you do in a messaging app. No need for headers, signatures or endless message threads. It clears the clutter. It’s easier to communicate. It’s just like messaging. But better. Real conversations help you to be more creative, more productive, and less stressed. Both in the office and out of it. Threads are clunky and confusing, old inboxes are messy, repetitive email signatures are unnecessary. Ditch the conventional email clients and discover the power of people. All your emails and threads are found under the contact. So, if you need to speak to Anna, just click her contact icon. You’ll see all your communications, past and present. 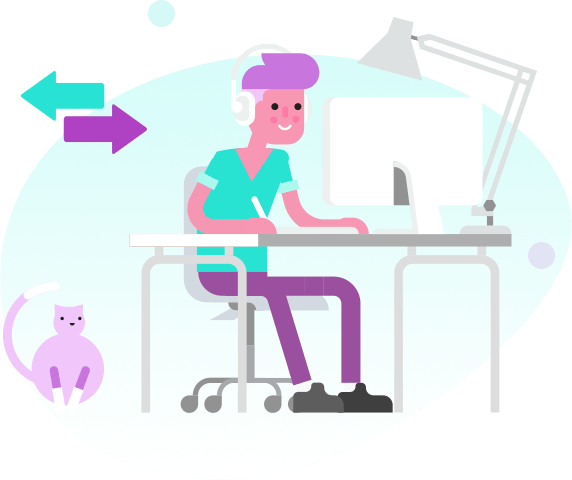 Spike automatically consolidates threads and displays each of your sent and received emails in an easily recognizable instant messenger format. Its quick, clear and intuitive. Conventional email clients are done. Conversational email is what you’ve been missing. Talk to the people who matter most, and have a real conversation, not an email exchange. Get the future of email and discover a better way to connect with the world. Up with people, down with threads! 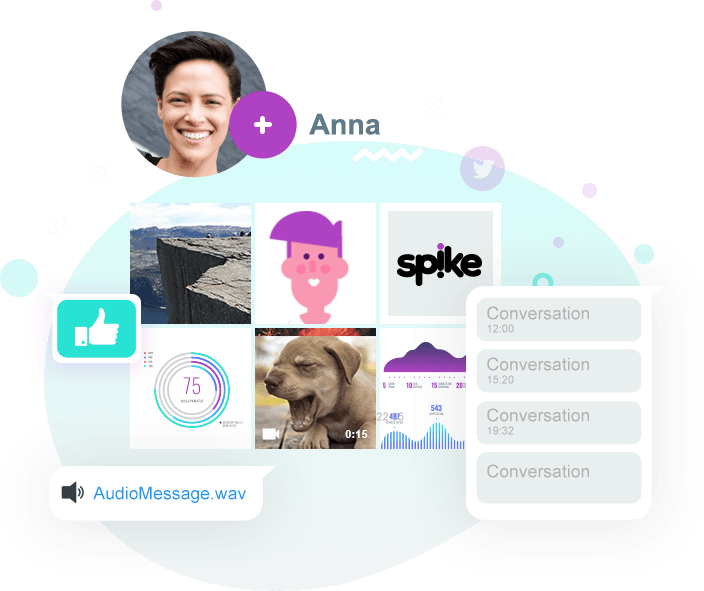 Spike’s People Mode lets you speak quickly and seamlessly with everyone—just like instant messaging. All the relevant information for the person you’re talking to is provided right where you need it: every conversation, file, social profile, attachments and more. You can identify people at-a-glance by their photo, see when they are online, and even check if and when they read your message. Don’t like People Mode? Switch back to regular inbox and explore how Spike works best for you!